The Flaming Lips, the Roots, Public Enemy, Of Montreal, Girl Talk, Spoon, and Modest Mouse are among the musical heavy hitters who’ve spent their Fourth of July weekend in Des Moines to headline the Iowa capital’s 80/35 festival. 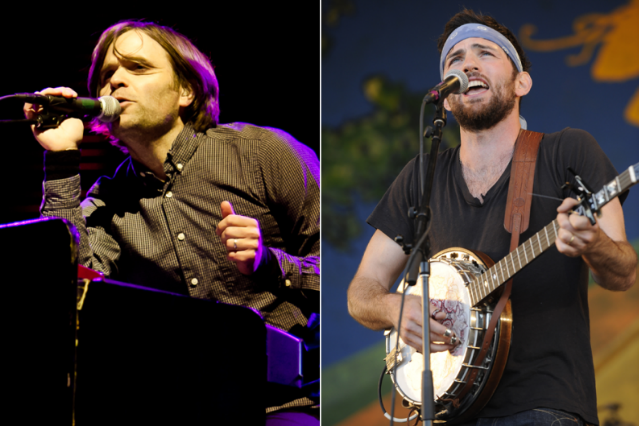 This year, the fest’s fifth, will see Death Cab for Cutie and the Avett Brothers topping the bill for the July 6-7 event, organizers announced today. Midwest festival-goers won’t only be getting sensitive, emotive pop-rock and harmony-drenched open-air folk-pop, however. Dinosaur Jr., Fucked Up, Freddie Gibbs, and Dan Deacon are also on the bill, along with Leftover Salmon and Greensky Bluegrass. Iowa-based acts Leslie and the Ly’s, the Sundogs, Maxilla Blue, and Mumford’s have also signed on to perform, and are not to be overlooked. OK, we’re a little biased — your SPIN contributor volunteered on the festival booking committee the past couple of years — but 80/35 is a unique and valuable offering in a town that touring bands all too often skip in favor of Minnesota, Kansas City, or Omaha. Held in downtown Des Moines’ Western Gateway Park, and named after the two big interstates that intersect here, this year’s two-day festival will feature almost 40 acts on two stages. Other national, regional, and local artists are still due to be announced in early May. In contrast to the area’s for-profit musical festivals such as Lazerfest (hard rock) and Big Country Bash (um, country), 80/35 is organized by the nonprofit Greater Des Moines Music Coalition. Advance two-day tickets are $49, and more information is available on the event website.